This cheeky necklace is perfect for those days when you feel like your outfit needs a little more attitude! Vinca jewelry is made in Austin, TX. Their shop features clever and quirky designs lasercut from acrylic and wood. Some of my favorite ones include unicorns, lightning bolts, bacon & eggs, squirrels, dinosaurs, and even Sriracha sauce! 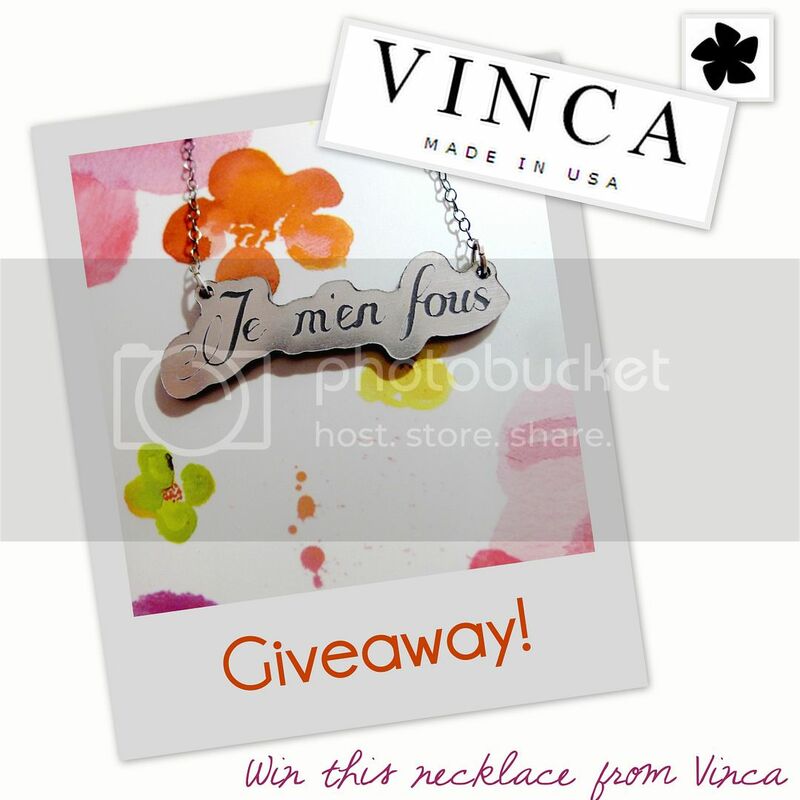 One (1) lucky reader will win their own "Je m'en fous" necklace (valued at $30 USD) from Vinca. The "Je m'en fous" (which means "I don't care" in French) pendant is in a fancy script and made from a lasercut silvertone acrylic that's attached to a sterling silver 16" chain. Entries accepted until December 1st, 2013. Feel like shopping? Check out Vinca jewelry online! 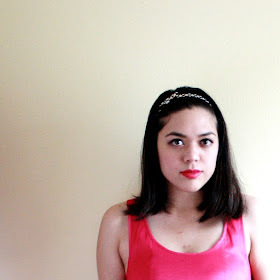 See how I styled my necklace in the last post.